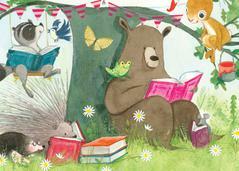 Our Round Robin Blog Hop for September asks the question: How do you encourage reading in your children? Without a doubt, children who are read to consistently as infants, toddlers and even after they’ve learned to read on their own will absorb a love of reading that can and often does last well into adulthood. Even children who later run into learning disabilities such as dyslexia will have enjoyed the magic of being transported to another world – a land of fairies and unicorns and superheroes and so much more that will stay with them as they struggle to learn how to read and encourage them to persevere. When my kids were small, we always read stories at bedtime (and often at other times, like when they were sick or shut in due to bad weather.) When they were older and began to read on their own, we often read books together, sharing the adventures and the time spent just being with each other. Of course, that was back in the day long before video games, tablets and smart phones that so many parents now relay on as a babysitter while they do something else. But that’s a whole other discussion – how too many kids have to vie for attention with their parent’s smart phones. The joy of reading I instilled in my kids years ago lives on and they now read to their kids. 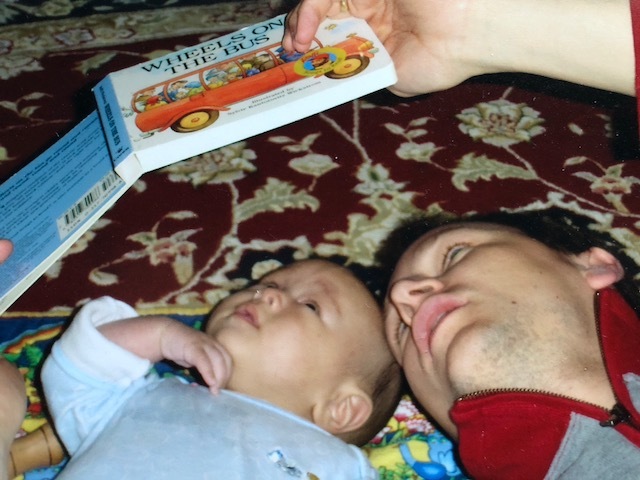 One of my favorite snapshots is one of my son and his then 5 month old son laying on their backs on the floor with a book held above their faces while Alex read to Sam and Sam’s eyes were glued to the pictures on the page as he listened to his father’s voice. It always warms my heart when I walk into my grandchildren’s bedrooms and find shelves overflowing with book and totes filled with more books from the library. Another generation of kids, at least in my family, who will grow up loving to read. 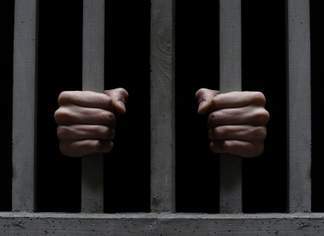 Nearly 85% of the juveniles who face trial in the juvenile court system are functionally illiterate, proving that there is a close relationship between illiteracy and crime. More than 60% of all inmates are functionally illiterate. 27% of adults did not read a single book last year and I’ve read similarly depressing figures such as 67% of adults never read a book after they graduate, and even less if they only graduated high school. On the other hand it appears that young people between the ages of 18 and 39 may be reversing that trend and are reading more than those in their 40s. We all have our favorite causes to which we give of our time and treasure. One of mine is an organization called Reach Out to Read that puts books into the hands of pediatricians and other providers of pediatric medical care to introduce to their little patients who otherwise would never own a book of their own and have no books in their homes. When I served my two years in the Peace Corps (long after my own children were grown and on their own) I began reading clubs in my village. I lived with family and I began by reading to their children. Then I started story hour sitting on their veranda. The first night I had just 6 neighborhood children. The second night there were fifteen and by the third night there were so many I lost count. 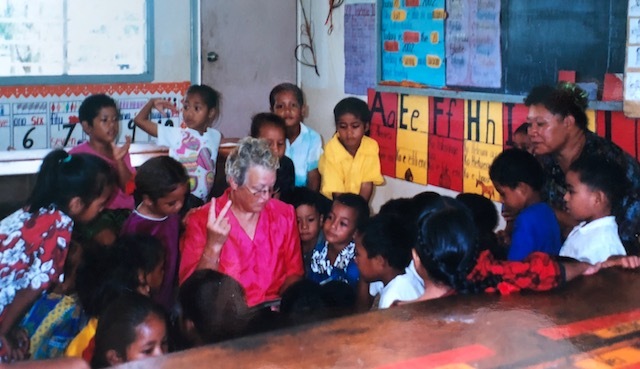 For these children it was partly the novelty of being with a Peace Corps volunteer, partly listening to the stories and for the youngest among them, an introduction to English. Making the story hour interactive got them all involved and we all had fun exploring worlds like Charlie’s Chocolate Factory and Doctor Seuss, Harry Potter and Disney princesses. We were told when we were in training that we might leave after our two years were up never knowing if we had made a difference, but I know from contacts on Facebook that I did in fact make a difference. Perhaps those children I read to there, half a world away, are reading to their children now, just as my kids read to theirs.